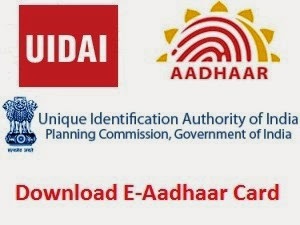 Aadhar Card Download | Check Aadhar Card Status!! Aadhar Card is one of the most important verification document in India. Government of India has been focusing a lot on Aadhar card these days. So, one must apply for aadhar card and then aadhar card download can be done. If you have applied for Aadhar Card, first of all check aadhar card status . If your Aadhar Card has been generated, then you can go ahead and download aadhar card. You can download e-aadhar card. E-aadhar card validity is same as that of aadhar card but it is easier to get. Enrollment ID / Aadhaar No. Mobile number is need because an OTP (One time password) will be sent on your registered mobile number. You need to enter the OTP, to download Aadhaar Card. How to download Aadhar card? In the box, enter your Enrollment Number and the registered Mobile Number. You will recieve OTP on your number. Enter the OTP in the required field. Take a Printout of Your eAadhaar card. Aadhar Card status- Check Now! !